“Now one day, all of Job’s children were gathered together under the roof of Job’s firstborn for their usual celebration—feasting and drinking wine— 14 when a messenger came to Job. Messenger: We were in the field. The oxen were plowing, the donkeys were grazing nearby, 15 and out of nowhere, the Sabeans attacked. They stole your animals, all 1,000 oxen and donkeys, and as for your servants, they put their swords to us, and everyone is dead—every last one, except me. I am the only one who got away from the fields to tell you. 16 And while the words were still leaving the messenger’s mouth, another messenger arrived. Second Messenger: Lightning has struck! The fire of God fell from the sky and burned the 7,000 sheep alive . . . alive! Shepherds, too—all of them burned; everyone is dead—every last one, except me. I am the only one who got away from the pastures to tell you. 17 And while the words were still leaving that messenger’s mouth, a third messenger arrived. Third Messenger: Chaldeans! Three groups of them attacked us. They converged on the camels and stole your 3,000 animals, and as for your servants, they put their swords to us, and everyone is dead—every last one, except me. I am the only one who got away to tell you. 18 And while the words were still leaving that messenger’s mouth, yet a fourth messenger arrived. All of Job’s 10 children died in a natural disaster. There was a wind storm that blew down the house. Job was confronted with the fact that because of a natural disaster, there are 10 fresh graves on the hilltop. So now what is he going to do? His wife says to curse God and die. But Job said, “The Lord gave and the Lord has taken away. Blessed be the name of the Lord.” Job shows us it is possible to worship God even without explanations, even when we don’t know all the reasons. Those who worship God under those conditions are especially blessed. In the wake of such incredible loss and disaster, we struggle to understand how a God who is all-powerful and all-knowing can also be considered good and loving. Here we are again, and yet another disaster. We can understand why natural disasters occur. What we do not understand is why God allows them to occur. The increasing number of natural disasters and terrible storms have many people wondering, who controls the weather, God or Satan? An examination of Scripture reveals that Satan and his demon angels have no control over natural disasters. The Devil, our “adversary,” must be taken seriously, however, by acknowledging his reality and his limited power over the secular world. Satan, a defeated fallen angel, is super-human but not divine, having only that power that God ultimately allows him. If Satan could impact the weather, it would only be by God’s permission, though restrained, as in the case of Job. Satan was allowed by God to torment Job in order to test him, and this included “the fire of God” (probably lightning) which “fell from the sky and burned up the sheep and the servants” . This was followed by a “mighty wind” (possibly a tornado) that destroyed his home and killed his children (vv. 18-19). So if the fire from heaven and the tornado were somehow caused by Satan, they were still under the ultimate control of God for His purposes. As these events of this Typhoon in the Philippines were going on this week, I couldn’t help but think, and pray for them. Ironically, one of our pastor’s at our church headed out last week on a pre-scheduled Missions trip. I have to believe that God ordained their going out, at the Divine appointment calling for their lives. Their presence, led by Pastor Dennis Marcado, has kept me busy this week, lifting up their mission, that they would know the perfect will of God during their stay, and that the Gospel would be shared at every turn. Why did God allow the tsunami to kill over 225,000 people in Asia? Why did God allow Hurricane Katrina to destroy the homes of thousands of people? For one thing, These kind of events shake our confidence in this life and force us to think about eternity. Churches are usually filled after disasters as people realize how tenuous their lives really are and how life can be taken away in an instant. What we do know is this: God is good! Romans 8:28 says that: “we know that all things work together for good to them that love God, to them who are the called according to His purpose”. 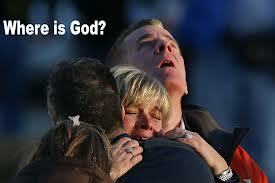 Many amazing miracles occurred during the course of natural disasters that prevented even greater loss of life. Natural disasters cause millions of people to reevaluate their priorities in life. Hundreds of millions of dollars in aid is sent to help the people who are suffering. Christian ministries have the opportunity to help, minister, counsel, pray, and lead people to saving faith in Christ! God can, and does, bring great good out of terrible tragedies. It’s amazing, as I read through news reports on-line followed by a “Comments’ section that allows the reader to interact with the news story. It has become more consistent that immediately, there are those ‘haters’ of God who will clog up the space, and invoke a tirade against believers, and God Himself. I use to get in the flesh sometimes because of the hatred being spewed out against Christian’s specifically. But this is the kind of world we are living in, darkness seems to cover much of the land. And yet, it does give us an opportunity to come to God with our petitions, recognizing that we have a truly Sovereign God, who does care about His creation. When I’ve reached the ‘end of my rope’, if you will, I gather all my thoughts and take them to the Lord in prayer. I firmly believe that our prayers can and do make a difference; not in changing or steering God to do things our way, but to take advantage of the privilege given to us, to become involved with God, and see His loving-kindness manifested. We don’t have the answers on why God allows things like these to happen, but we know one thing, God does answer prayer. I believe God answered Daniel’s prayer when he was in the lion’s den, full of hungry lions. I believe his prayers ‘changed the lion’s appetite’, that they waited until morning, after Daniel was let out. 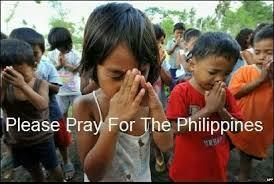 Won’t you join me in praying for the people’s in the Philippines disaster? Pray for Pastor Dennis, and his team. 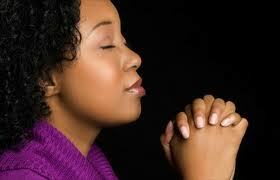 Pray for food, water, clothing, housing, for the people. Pray for the faith, and salvation of souls in the midst of all these things; that they would come to know Jesus Christ as their Saviour. Here’s Today’s Video; A Special Update from Samaritan’s Purse….Please take the time to view it and pray, and if possible to support their humane cause to help the people.